All About Ice Europe have been working alongside many clients from event companies and media outlets to members of the public to create some truly iconic Ice Sculptures to amaze and wow their guests. The bespoke designs are created as a one off for your event. We start by getting a feel for what you are trying to envisage and create as your impact ice carving and build upon this. We can submit drawings and designs click this to see an example of our design process. Start your Ice Sculpture creation journey now by clicking this link or view our 2017 Brochure for other ideas. Once you have decided on your custom Ice Carving bespoke ice design, just leave the rest to us! 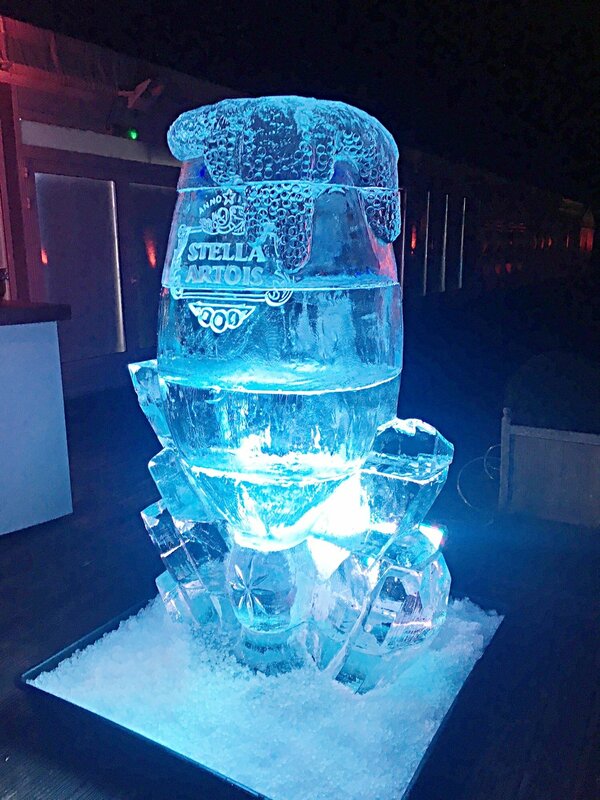 All About Ice Europe will not only create your stunning Ice Carving, we will deliver and install it on site. We have full liability cover and offer risk assessments and method statement upon request. We also offer a monitor and removal package at the end of the event, just ask about all these options. Interested in a bespoke ice carving?